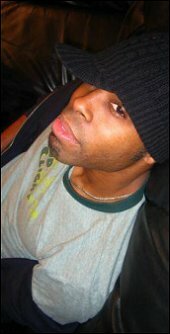 MVRemix: For those that are now hearing about Dru Hepkins the musician (not just the MVRemix contributor) for the first time, tell us about yourself. Dru Hepkins: I'm a man of many passions; I love to compose music, I love to write, and I guess I could throw partying in there as one of my passions too. Seriously though, I'm an artist who makes music strictly because I love to do it. Sure I'd love to be wealthy and support myself with my talents, but I'm not trying to be an entrepreneur. I just love music and I love being recognized for what I do. MVRemix: You play a variety of instruments - was this something you chose to pursue or something your parents pushed and you went along with it? Dru Hepkins: No, I really wouldn't say that. I come from a musical family and all my brothers and I play instruments, and yes my parents made us take lessons when we were younger - but no, music wasn't never pushed or encouraged - and certainly not for a career. My mother encouraged it when it meant singing for the church and for family holidays but not much beyond that. I just got possessed by music on my own and went at it every day. MVRemix: How did you score a position as an executive assistant at Atlantic Records, and what became of that? Dru Hepkins: Years ago, I was sent there as a temp and I worked myself like a dog. I was only supposed to be there for a short time, but I was determined to make a mark. Then my 2 week position turned into a few months. I was working real hard and it impressed my superiors - at first that is [laughs]. Then they switched me to a more fast paced department, Urban Publicity. After spending some time in that department they eventually hired me full time. But honestly, in my heart of hearts I wanted to be an artist, and not just work for them. After a few years there I got wild and starting bugging out, partying and being irresponsible. I was cocky and stupid and I would say wild reckless statements and so on and so forth. I'm on good terms with my old bosses and of course I wised up, but I learned after having a lot of fun working for a powerful label and taking advantage of all the perks, I would never be happy living a lie. Alot of people crave label jobs - and they are fun and exciting, but if you're an artist I wouldn't advise it. I've learned so many valuable things and made excellent contacts, but as an artist you could really lose yourself fast. MVRemix: You've played a number of roles in the music and entertainment industry, how important do you feel networking is? Dru Hepkins: Networking is extremely important. The right contacts can definitely make it happen for you. But I tell the truth, it also annoying and often doesn't get you anywhere. If you're a female artist, most of these fellas interact with you because they want to sleep with you. And in general there's a lot of folks who are self absorbed, caught up in other things, and/or don't really want to help you. People want to be involved when they see you getting a buzz on your own. Just real talk. The industry and networking can really be a frustrating ordeal, waiting for people to call you back etc etc. All artists should do as much for yourself as possible. You just have to keep on networking and be smart about it. Hopefully the right situations will surface. MVRemix: You've also been freelancing for a while, what inspired your interest in interviewing and general journalism? Dru Hepkins: I love to write. Like I said, it's one of my many passions. Also, when you're an up and coming artist yourself trying to blow up, it's the next best thing to interact with and learn from the already successful artists. I study them when I interview them. I analyze their different personalities and I always, respectfully, compare myself and what I have to offer to their stardom. MVRemix: As a songwriter, who has influenced you? Dru Hepkins: I always stumble on that one no matter how many times it's asked. It's many people. It's Bob Marley. A roots reggae band called Third World. Its Prince. Even guys like Elton John, Billy Joel, Lionel Ritchie, these guys helped me with main stream appeal because these guys wrote great songs following the right main stream formulas. But I don't get influenced much, and not by one particular artist, nor do I try to pitch toward the mainstream, I really just try to find my own voice. MVRemix: How does living in New York shape your attitude towards music, art and culture in general? Dru Hepkins: Man, we are the pinnacle of everything. Seriously though, I don't mean to be biased but NYC always had an elevated music scene. We're exposed to so much and we have such an eclectic existence. NYC shaped what I want to hear in many ways. I admit, I like to hear lyrics and wit in hip hop and I haven't been a fan of lot the music that's been coming out in the south and Midwest. With other types of music in NYC, there are bands from all over that come here and we get to soak in different styles. MVRemix: You've stated that the game plan was to take your music over to Europe, and you're set to perform some gigs there early next year - why the push for the European audience? Dru Hepkins: I just feel, know, the reception will be better. American music is way too dummied down, contrived and controlled by money. I'm not suggesting this doesn't happen anywhere else, but to a lesser to degree. Over here, kids sit and wait for the albums companies have been spending lots of money to promote and convince you is hot. I know that these acts don't necessarily represent the best or most talented music. You just have a better shot to stand out other parts of the world. "I don't get influenced much, and not by one particular artist, nor do I try to pitch toward the mainstream, I really just try to find my own voice."